I love love love most b/w dmd pins. Most are very unique and have a great charm about them with nice mechanical toys. Its all I wanted the first few years in the hobby . However as i became a better player and understood rulesets they did tend to grow old more quickly than newer pins. Remember 90s pins were made for arcade use and not playing as much as u want at home. I set them.up as difficult as possible now and keep a nice mix of newer and older pins .... and i rotate the 90s pins pretty regularly . I find afm, bsd, tz and wh20 to be my top 90s pins overall . 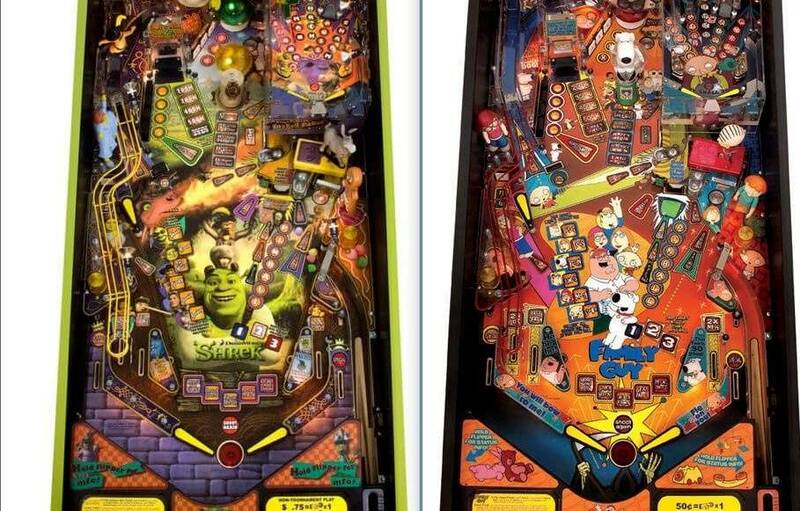 New pins like met, dile, th and munsters have some of that 90s charm , layout, and mechanics along with deeper/ more strategic code that make them pretty special imo. I guess we all take different routes to our favorite pin choices, though I think that there is obvious consensus on the better pins. I missed the 90s pinball heyday, so I wasn't up on B/W when I joined the hobby, and I confess I was more than a little skeptical. I remember checking out the IPDB site long before finding Pinside, and wondering if there was some sort of rating mafia keeping the B/W pins on top all this time. I felt back then, and even a little now, that Stern doesn't get a fair shake, considering that they were the final survivor of the era and make some great pins of their own. Now, over 10 years into the hobby, I concur with MM, AFM, and MB being the top games of all time. Though, I might sometimes be tempted to stuff STTNG in there with them. There's character in these games, humor, and a clear challenge: fight the Martians, get the band back together, and bust some castles. MMr, MBr, and TOTAN, are my guest favorites whenever I have non-pinheads over to my home. Yeah, IM, Tron, TWD, and BM66 get some loving, but the classic greats still rule with casual players and myself. I think there's a place for the classics and the newer deeper pins, though I do think we're in a bit of a rut with new games right now. The big LCD screens are great and all, but I think it's time for some playfield innovation. MM, AFM, and MB are great because they are! All three are classics with relatively simple and non-polarizing layouts/gimmicks, good artwork, great themes with humor, play fast with good flow, are approachable for all levels of players, and are not overly mode based. Two of the three are relatively easy while AFM is challenging. Some interesting points. Reason I brought this up is I bought an MMr. And after about 20 games I got board with it. And I have never gotten board with a game so quickly. So I could not really understand why it ranks so high. I will say I do like the callouts in MMr. It ranks up there in the top for the comedy aspect. 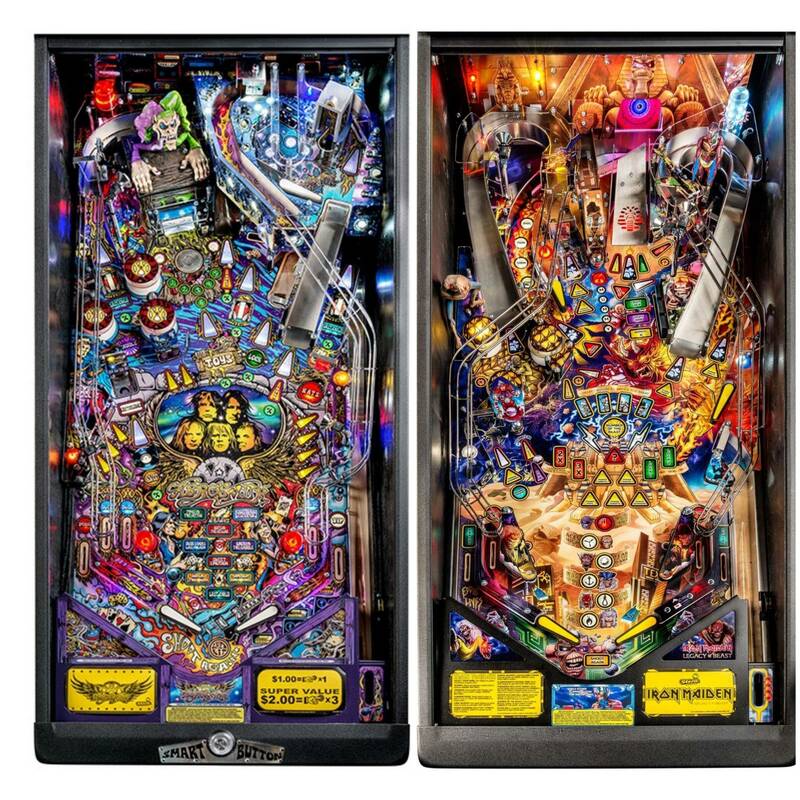 Regardless of the rankings they are 3 of the best pinball machines ever for all the reasons you guys have stated. MBr is to me the total package. Its a perfect of example of how "shallow code" can be great. Every detail of it matters and flows together so well! Who's the common denominator on the greatest games of all time? Lyman F ing Sheets!!!! He's a master of shallow and deep code and everything in between. He ties together every aspect of the PF and features like the conductor of a symphony. Looks at your ratings...Goatf****rs is #2. Ok, I can explain what’s happening here. 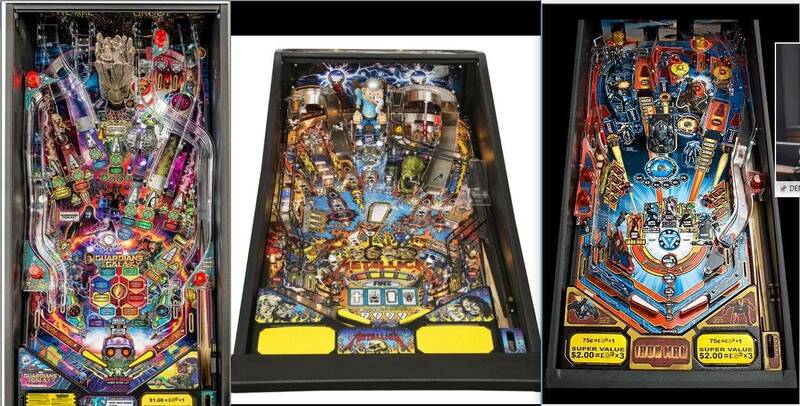 In 2016 the space-time continuum split specifically in the pinball hobby & the multiverses got jumbled. You’re from the alternate dimension where horrible games are good & people would beg to buy a $15k unfinished untested Stern. So, while you can’t understand why a perfect game like MM rates high, those of us from the parallel pinball dimension can’t understand how you could rate Goatf****rs so high. Mystery solved, carry on everyone! Looks at your ratings...Goatf****rs is #2. Ok, I can explain what’s happening here. In 2016 the space-time continuum split specifically in the pinball hobby &amp; the multiverses got jumbled. You’re from the alternate dimension where horrible games are good &amp; people would beg to buy a $15k unfinished untested Stern. So, while you can’t understand why a perfect game like MM rates high, those of us from the parallel pinball dimension can’t understand how you could rate Goatf****rs so high. Then what happened to people like me who like both MM and GB? That must blow your mind....how can anyone who likes a "perfect game" in your mind also like something you hate so much? Inconceivable!! why is medieval madness, attack from Mars, and monster bash consistently ranked as the top three pins of all time. Because there is a sense of character with B/W. They don't appear to be a cheap "cash in" with their games. Look at how unique and different most of the PFs are. NO other PF resembles the layout of Corvette. No other game has a ramp like CFTBL with the whirlpool at the end of it and the massive loop it does with the lights on the side. 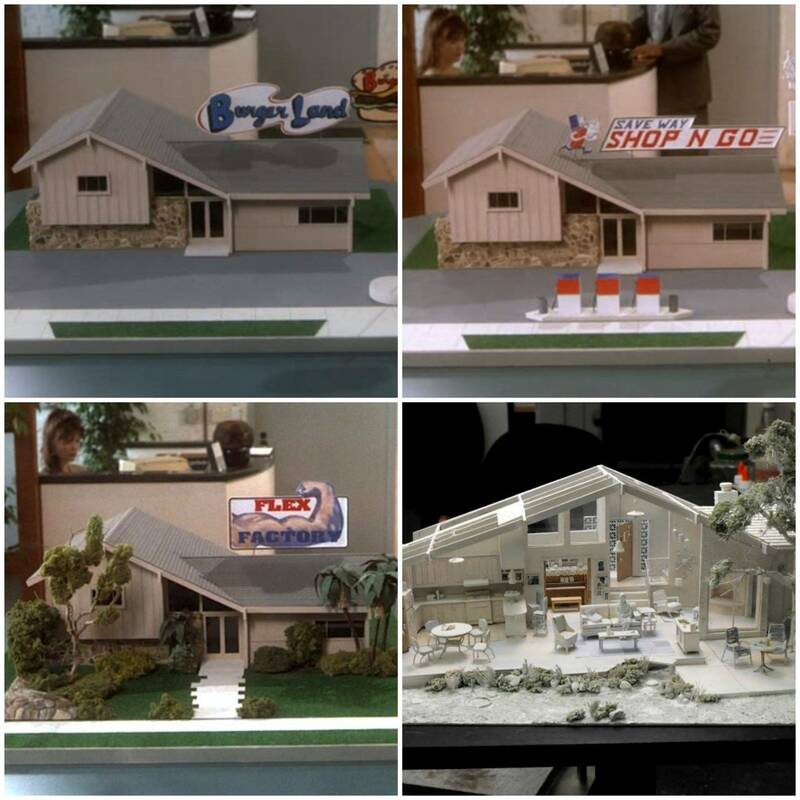 Today's companies haven't released anything close to "Red and Ted" or "Rudy" from Roadshow or Funhouse. One innovation after another from a working gumball machine AND clock in TZ, the Thing flipper in TAF, strobe MB in AFM, mist ball in BSD, the Shadow "disappearing ball", Champion Pub's jump-roping ball - just unprecedented in comparison. B/W games are fricking bricks in terms of strength and build construction. Just compare their leg brackets to "today's leader" and that says it all. B/W has an excellent mix of licensed themes as well as unique themes. For every Terminator 2 there was a Cactus Canyon, for every Johnny Mnemonic there was a Medieval Madness, for every Doctor Who there was a Whirlwind. Then you have the themes that were unlicensed but "close enough" to actual licenses: AFM to Mars Attacks, MM to Monty Python and the Holy Grail, No Good Gophers to Caddyshack. They weren't carbon copies of well known media; they were unique enough that they could stand alone and become beloved. Then you have the really unique and different "well, let's try this!" attempts at something different. Safecracker is an excellent example of trying to appeal to a newer crowd with the board game on top, the tokens you can win, and a smaller machine packed with just as many goodies as a full-sized game. Pinball 2000 was another try at something different. I really wish SWEP1 had come out FIRST and then Revenge from Mars. That might have saved that format, but hey, at least they TRIED....! Finally, they are JUST FUN. I don't need a book of Chinese stereo instructions to understand how to play AFM. I plunge the ball, listen to the call-outs and figure out what to do. I don't need to choose from 27 different characters at start-up; I either play as the humans or the martians in my own mind while I complete the game. And when I play these games, they don't literally fall apart around my hands as I play, and if the boards fail, well hey, at least I have the schematics to fix them and any mods added won't "nuke the boards". They are steadfast and proven to work. I'll play AFM over nearly any game that comes out today. There are two games that nearly got it right: Alien and TBL. Too bad both are extremely limited to the general public. For those keeping track--5 of my top 10 are John Youssi artwork (TAF, WH2O, MM, ST, FH); 4 are Steve Ritchie designs (AC/DC, HS2, ST, T2); 4 are Bryan Eddy designs or code (TS, AFMLE, MM, FH), 4 are Doug Watson artwork (TS, AFMRLE, HS2, T2); 3 are Lyman Sheats code (AC/DC, AFMLE, MM); 3 are Mike Boon code (TS, TAF, WH2O); 3 are Dwight Sullivan code (HS2, ST, T2); and 2 are Pat Lawlor designs (TAF, FH). Did all of those guys have some duds? Sure, but they made some FANTASTIC games!! I'll only play LOTR once or twice but EBD has me pressing start all night. I totally get that. But it sounds like you have multiple pins in your game room? Now if you can only have one, and weren’t planning on selling it for at least a year, what game would it be? Now if you can only have one, and weren’t planning on selling it for at least a year, what game would it be? Why only one? I know not everyone can have large collection but no matter what game it is. 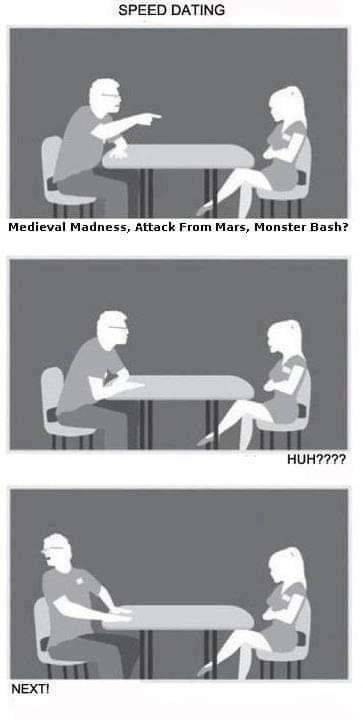 If it’s the only one you have it’s going to get boring in a few months. Unless it has sentimental value. Wait a minute...you've been on Pinside for 6 years. You're supposed to know that MM is the "perfect game". A couple other experts have said so. It's only supposed to be us short timers that don't know which games are really the good ones!! Or on the other hand, like whatever you want. Brutally true. It’s a killer that’s keeps calling you back! You forgot the most important piece of a pinball! SOUND GUYS! Granner, Forden, etc. Steve Ritchie and Pat Lawlor are pinball design legends. Great games don’t get boring. Another reason these 3 are tops. I love afm but mm and especially mb just got stale rather quickly for one reason or another.... still fun pins that everyone sld own at some point. Different strokes. I never liked AFM . I just finished reading through this whole thread. One thing I didn't see was the term "status" used. Off topic for a moment but I went through a soul crushing divorce and I was out of the hobby for almost 3 years. I come back and look at the top games here and at IPDB. Granted I left the scene shortly after this site started, but the IPDB list hasn't changed much. I recognize LOTR no longer makes top 10. 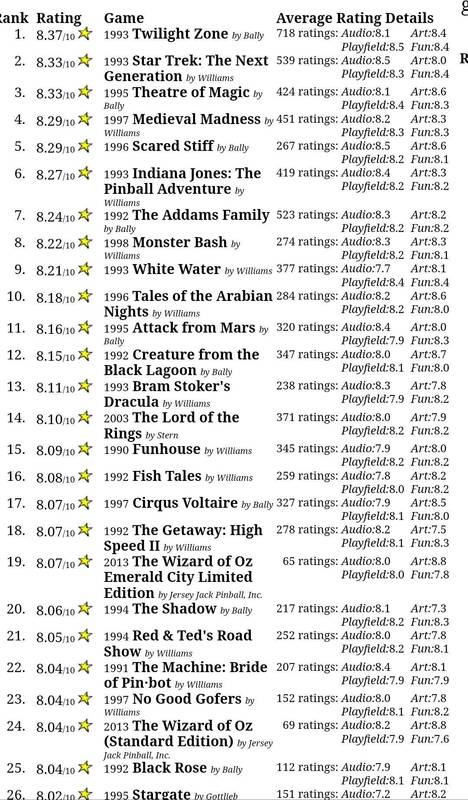 A couple other pins that bounce in and out of the top 10 but it hasn't really changed much. But getting back on track, I've always noticed a huge uptick on certain titles when they become hot button topics. Suddenly they become the best game to have because people start talking fondly of them and the damn price jumps because everyone and their neighbors dog starts looking for these titles. Infamous supply and demand. I won't say they don't deserve to be top 10, because who am I to tell anyone what is good or bad. I think MM amongst other old BW games have a certain charm about them but in all fairness so do the new games. Definitely 2 different charms though. Deep rule sets have their place every bit as much as simple rule sets. As brilliantly stated earlier, rules deep or shallow make not a game good. Choices are great, but at the end of the day, for me at least .... AFM and 3 others on the current top 10 on IPDB never really tripped my trigger and that's OK. It just means more for others right? I recognize LOTR no longer makes top 10. What chu talkin' bout Willis? LOTR is #6 at the moment. 1. Hitting pop up trolls during multi ball might be the most fun you can have in multiball. 2. Brian Eddy is a genius who understands both game design and software design and can integrate a sense of fun into a nothing non licence theme. Can’t wait to see his next pin for Stern. 3. MB is the 8 shot fan layout that Borg and Ritchie often emulate in a modern STERN. One could make a similar claim for AFM or MM, but I’d say it took Stern a decade to consistently design pins as good as these. 5-6 years ago I got into pinball. I knew nothing about the hobby let alone Pinside. I was playing at a bar 4-5 days a week that had 21 machines. Everything from new Sterns which included AC/DC, Iron Man and a Star Trek Pro and back as early as machines from the 80’s. I was blown away by the led lights and the polish of the newer Stern machines. There was one machine that I dumped more quarters into than any other and it was Attack From Mars. Having never seen a top 100 and knowing nothing about perceived value, that was the game I played. I don’t know why, but I do know I enjoyed it. That’s my reason. Fast forward several years and many machines in and out of my house, I still love Afm. Pinball is like art or even cars. You like what you like. The games mentioned are beautiful, easy to understand, but hard to put up a huge score. Accessible for beginners and challenging enough for veterans. I think Stern, JJP, Spooky, and others makes excellent games, but you have to respect well made classics. Everyone wants one and every new company is looking to find that “magic.” I’m curious to see the demand for a Batman 66, WoZ, and TNA in 20+ years. I think the hobby is progressing at a healthy pace and I love where things are headed. Yeah I don't understand it either when obviously there is only one GOOD game out of those three and the other two are just, we'll mediocre at best but to each his own I guess. If I had to pick only one game it would be EBD or Paragon honestly. Why do people think classic Mustangs are more desirable than the new ones coming out?